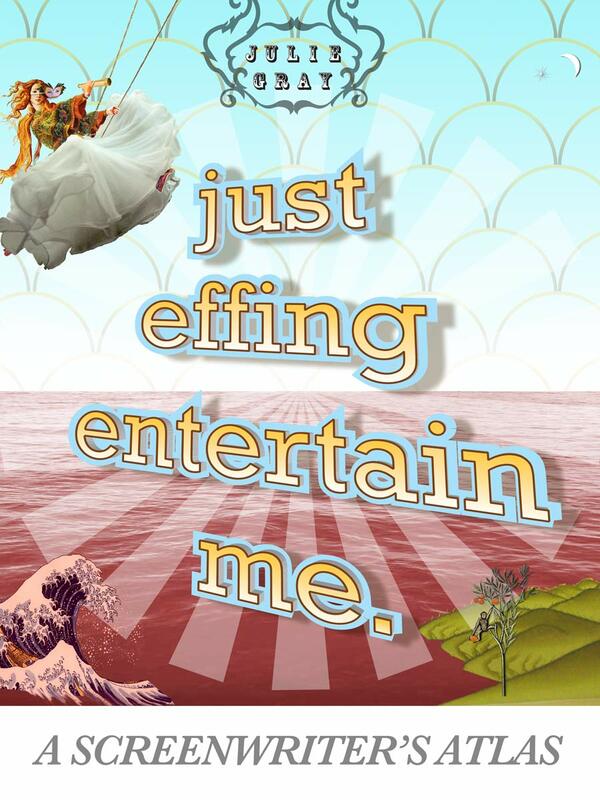 Today, we’re celebrating the release of a great new book on screenwriting, Just Effing Entertain Me: A Screenwriter’s Atlas, written by Hollywood script guru Julie Gray. I had the privilege of being able to interview Julie about her new book and how it can help aspiring screenwriters find success. Personally, one of my favorite parts of the book are the Fun Facts and exercises at the end of each chapter. Julie knows just what lessons are most valuable for budding screenwriters, and she presents them in a concise, encouraging, and easy-to-read way. There are a lot of screenwriting books on the market, tell us why we should buy yours. Just Effing Entertain Me: A Screenwriter’s Atlas is the first screenwriting book EVER to combine both screenwriting tips, theory, do’s and don’ts AND an explanation of how Hollywood readers evaluate scripts as well as advice about how to get an agent, how to know if you’re even ready for representation and how to keep running this marathon even when you feel totally dispirited. 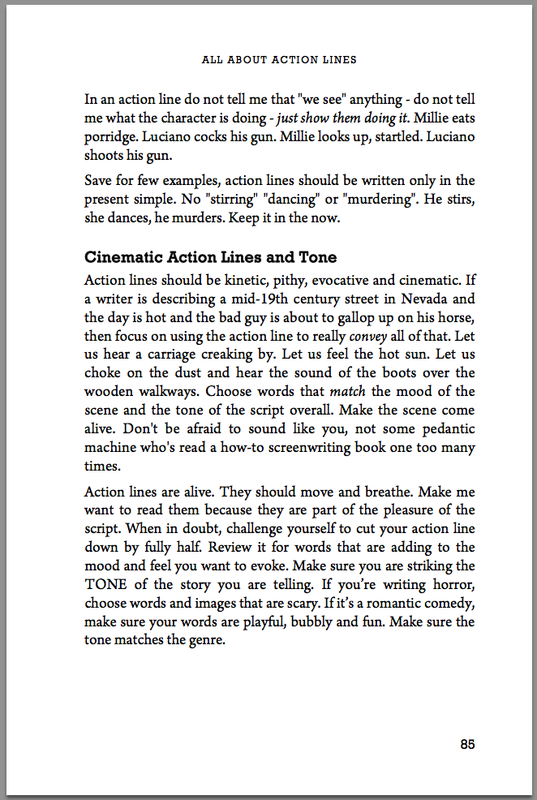 It really is a very holistic handbook to screenwriting that goes way, way beyond bullet-pointed lists or specific genres. What’s the biggest mistake new screenwriters make and how can they avoid it? Not testing their idea before they write. Not really making sure this IS a movie, that the idea is fresh, original and unique, that it has the dramatic legs to make a whole feature film. Screenwriters can avoid this by really checking out the idea carefully; comparing it to other films, writing up a premise line in three parts – 1st, 2nd, 3rd act – making sure they have a theme that is relevant and up to the minute, making sure the idea is specific and yet very universal. The book has a large section on idea testing. What advice would you give to the screenwriter struggling to break through? I hate to say this but…… write and write and write and write. And by writing I mean not only scripts but ideas, premise lines, treatments, short stories. Really immerse yourself. And watch movies by the dozen. Really familiarize yourself with the breadth and the depth of what is available on film – use what has come before you for inspiration. Name your five favorite screenplays. Ordinary People, The Salton Sea, American Beauty, Slanted and Enchanted (unproduced Christopher Columbus project), the Last Boy Scout. Julie Gray is the director of the Tel Aviv Writer’s Salon as well as the Just Effing Online Screenwriting Salon and writes for The Huffington Post, The Times of Israel and Script Magazine. A long time script and story consultant, Julie has taught at Warner Bros., Oxford University Student Union, San Francisco de Quito University in Quito, Ecuador, The London Screenwriter’s Festival and the West England University in Bristol. Currently a resident of Tel Aviv, Julie is working on her memoir, Eat Pray Kvetch.